I've never really been a fan of sportswear. Varsity jackets, baseball caps and sneaker wedges just aren't my thing. Don't get me wrong, I'm all for comfort and easy dressing but I feel like this style is way too casual for my taste. I adore minimalistic silhouettes, exotic prints, various textures and dramatic cuts. But because fashion is all about experimentation and pushing boundaries, I decided to give this trend a try. 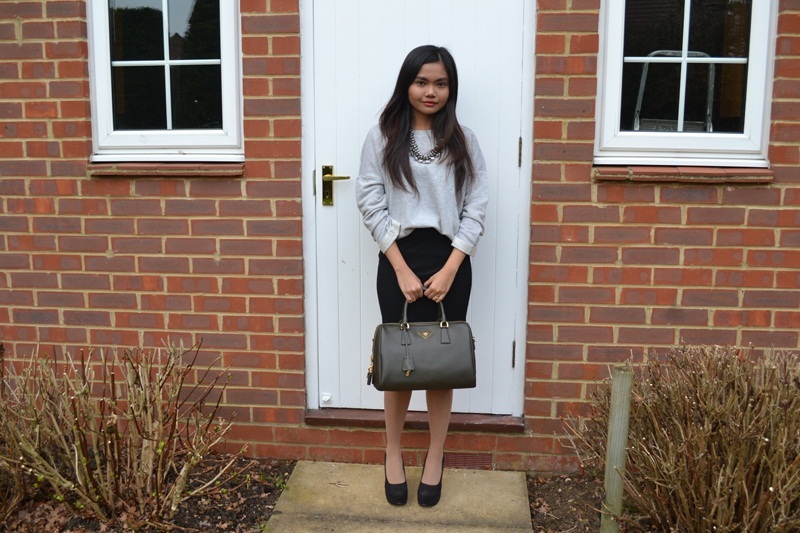 During a shopping excursion last month, I bought this gray sweatshirt from Topshop. At first I was kind of hesitant in purchasing it because I didn't know what to wear it with. I'm so pleased I talked myself into getting it as it's the most comfortable thing in my closet right now. I love that it's so soft and that it kept me warm while I was out and about in freezing London. If you're not a sporty girl but would like to give sportswear a go, wearing a gym sweatshirt like this is a good way to inject athletic elements into your look. 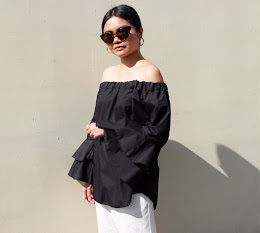 With the right accessories, dressing up this casual top is surprisingly easy. Instead of wearing sweat pants, you can pair it with a pencil skirt. To add feminine touches, accessorize with a gorgeous bib necklace, a structured bag and platform heels. 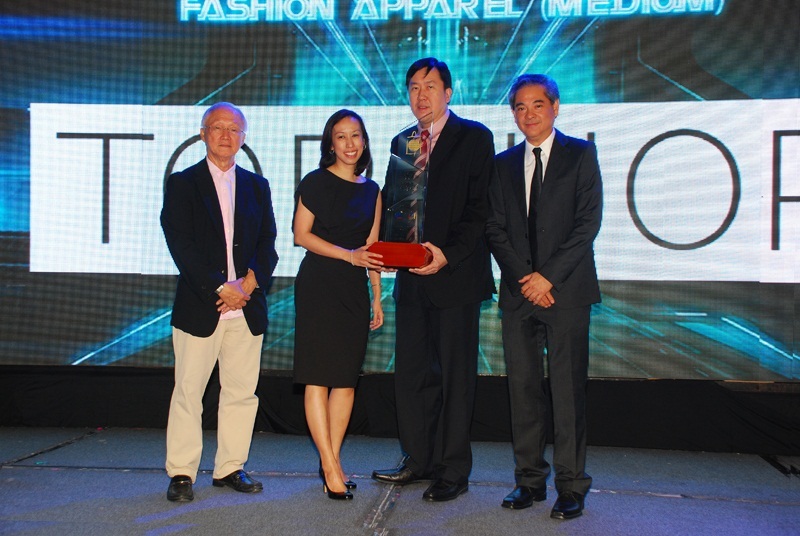 Speaking of Topshop, the British Brand was recently awarded as the Foreign Brand Retailer Fashion-Apparel, Medium Category during the 16th Outstanding Filipino Retailers and Shopping Centers of the Year Award given by the Department of Trade and Industry and the Philippine Retailers Association. Present during the awarding (from left to right) are Vicente M. Munoz, Sr. PRA Vice President for Ethical Standards; Carmina Quizon, Topshop General Manager; Mark Tasiongkun, VP for Procurement, Administration and Engineering, Robinsons Retails Group; and Arthur Coronel, PRA Director and CEO at the Crowne Plaza Hotel. Topshop is located at the ground floor of Ayala Center Cebu and has 10 other branches all over Metro Manila.